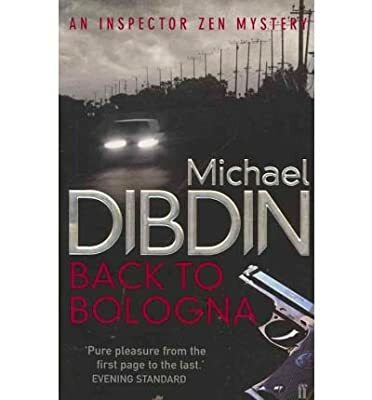 Description: In the latest installment in his critically acclaimed Italian mystery series, Michael Didbin sends Aurelio Zen to Italy’s culinary capital, Bologna, where he discovers that some cases are not quite what they appear to be. When the corpse of the shady Bologna industrialist who owns the local football team is found both shot and stabbed with a Parmesan knife, Aurelio Zen is summoned to oversee the investigation. Anxious for a break from his girlfriend, who attributes Zen’s slow recovery from routine surgery to hypochondria, he is only too happy to take on what first appears to be an undemanding assignment. The case quickly spins out of control, becoming entangled with the fates of a student semiotics, a mysterious immigrant claiming to be royalty, and Bologna’s most incompetent private detective. Meanwhile a prominent postmodern academic accuses Italy’s leading celebrity chef of being a fraud. Back to Bologna is dazzlingly plotted and delivers both comic and serious insights into the realities of today’s Italy.